Momentary and SPST, the CS1103 offers a 12mm square body with gull wing termination. Actuation force options range from 100gF up to 320gF with actuator travel of .30mm. 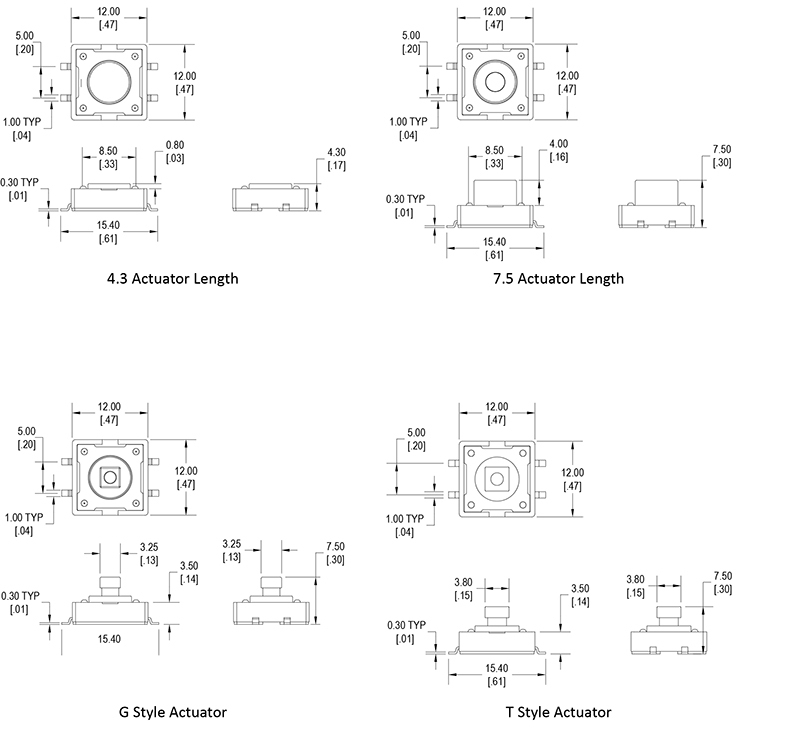 AActuator length choices for this tactile switch are 4.3mm and 8.5mm. Packaging options for the tact switch include tape & reel and tube.